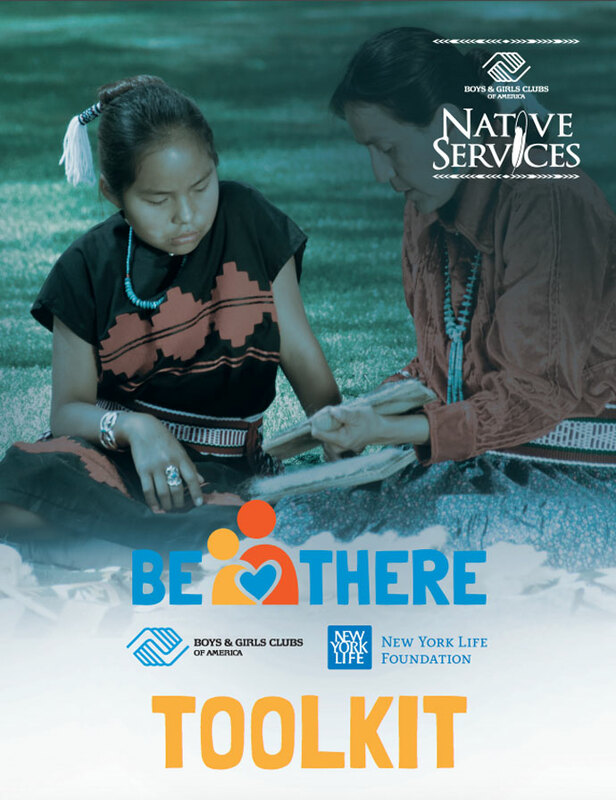 Be There is a comprehensive approach to help Native youth build supportive relationships and integrate best practices in supporting youth experiencing bereavement and other major life altering losses. The Be There initiative supports Clubs in creating a high-quality Club Experience for all youth by investing in building a safe, positive environment, establishing supportive relationships, and creating a sense of belonging. We not only want to help our youth process through their grief, but we also want to include resilience development as part of the long-term approach in preparing our youth to reach their full potential. Be There provides trainings, resources and strategies that help Clubs increase their capacity to support youth, staff and families who are grieving. The strategies that are offered in this toolkit are meant to support your Club in building strong supportive relationships among your youth, staff, families and community. Grief is an all too familiar experience for many of the young people we serve. It is estimated that 1 in 20 children in the United States will experience the death of a parent or sibling before the age of 18 and the vast majority of children will experience other major life altering losses by the time they reach young adulthood. In fact, Native American suicide rates are two and a half times the national average, and native teens experience the highest rate of suicide of any population group in the United States. Suicide is the second leading cause of death for Native youth between the ages of 15-24. Most of our Club kids will experience a major life altering loss before they reach young adulthood. The list of grief-inducing experiences is long. Grief responses to major life altering loss are not always reflected in outward responses. As a result, it is important for staff to recognize the variety of ways grief is experienced and know how to support youth when they are experiencing a major life altering loss. We hope that this resource will be a part of the process of healing in our Native communities.